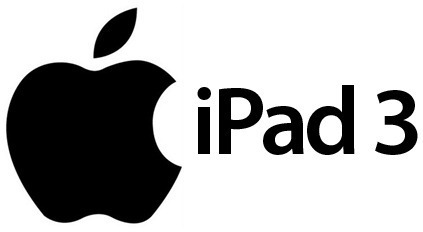 It is fast approaching that time of year again where we start anticipating the launch of the next generation iPad device. March 2011 saw consumers once again going crazy for the iPad 2, queuing up outside stores in an attempt to get their hands on the year’s must-have gadget. As is, generally the case when it comes to any high-profile Apple product launch, when we get nearer to the supposed launch date, rumors of device’s specifications start to spread, along with the leaked photographs and sometimes even a lost device for a lucky finder to paw over. 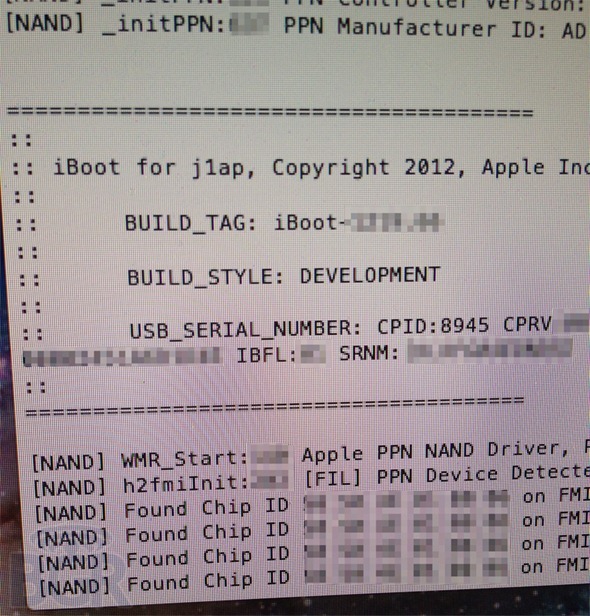 This time around, for the iPad 3; an unnamed source claims to be in possession of an iPad 3 test device intended as a prototype. The source has taken the opportunity to leak images of the next-generation tablet device’s specifications. 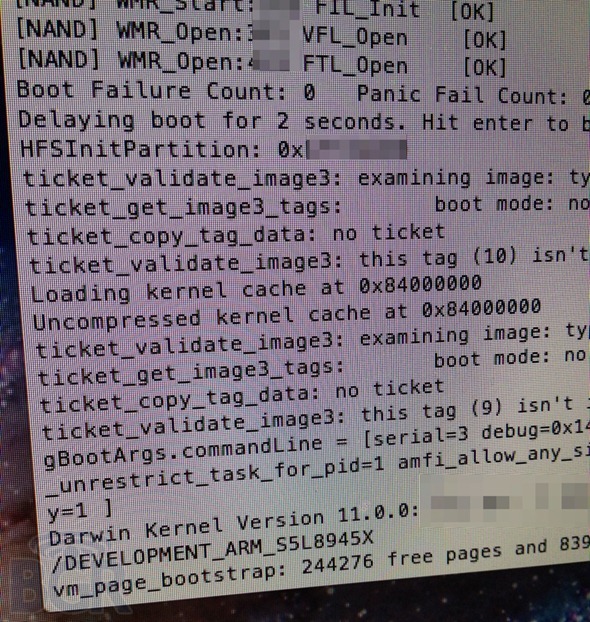 The source has allegedly used a tool known as iBoot to get image outputs of the internal technical specifications of the device. The photographs, if real, can provide us with quite a lot of information about the new device. The device model numbers are showing on the outputs as J1 and J2 (iPad3,1 and iPad3,2) and while some may believe that this would point to two different devices, it seems that they are actual model identifiers which point to one being a Wi-Fi-only device, and the other having embedded cellular data capabilities as we would expect, and an added LTE-enabled iPad. Probably the most interesting piece of information to come out of the leaked photographs relates to the type of processor which it looks like Apple will be using in the iPad 3. The information points to a new A6 processor which is given model number S5L8945X and will likely be a quad-core mammoth. The previous A4 and A5 processors were given the S5L8930X and S5L8940X model numbers respectively. The alleged introduction of the A6 quad-core processor will make the iPad 3 the fastest iOS device yet, and we can only imagine that the new iPhone will also feature the same powerhouse. Obviously we can’t give absolute assurance that these leaked images are genuine, but the model numbers and introduction of the A6 quad-core processor would certainly fit with previous speculation which we have heard. Make you check out all of the additional screenshots and soak up the specifications, getting yourself ready for the madness that will be the iPad 3 launch.